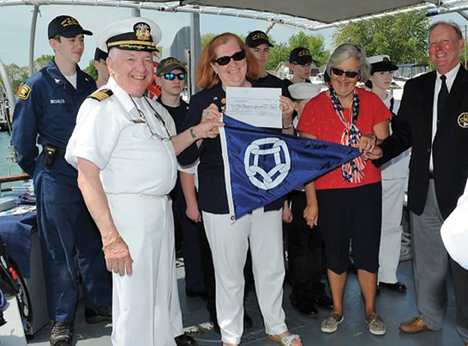 The crew of the Pride of Michigan, which includes 30 Sea Cadets and Captain Luke Clyburn, are grateful to the Great Lakes Foundation for a $5000 grant. The grant will help replace the 25-year-old inflatable, which functions as the support vessel for their many dives into the Great Lakes to help train the sea cadets as the Great Lakes are explored. The Pride of Michigan will proudly be flying the Great Lakes Cruising Club burgee throughout all her cruising on the Great Lakes. Captain Luke and the crew of the Pride of Michigan welcome your visit whenever you see them in any Great Lakes port. Please click here to keep reading. ​Congratulations to newly appointed Port Captains Eric and Cynthia Sunstrum! The couple have co-chaired the Lake Ontario Rally for the last two years and worked behind-the-scenes on other GLCC events. We appreciate their efforts and welcome their support as Port Captains for Ivy Lea, Ont. (SLR-33). They discovered the joys of cruising in the 1000 Islands and Lake Ontario when they bought their Tanzer 22 (Moon Dance) in 1981. A new house and the birth of their daughter later interrupted their Great Lakes cruising until they purchased a Tanzer 7.5 (Whisper 2) in Brighton in 1999. Ivy Lea has been homeport for the Sunstrums since then. Please click here to read further. The 2017 Great Lakes Cruising Club’s Annual General Meeting & Change of Watch will take place October 20–22 in Port Huron, Mich. (D-1), our official “corporate” home! Friday evening’s gathering will be at the opulent Port Huron Golf Club, for a casual buffet dinner. 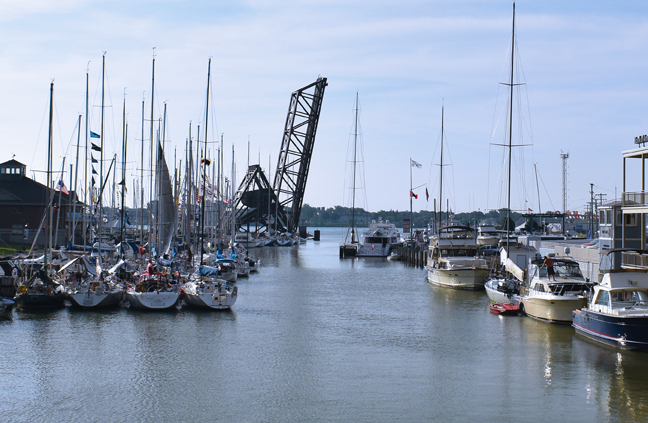 Saturday’s activities, include our morning Board meetings at the Great Lakes Maritime Center, a morning style show at Suzanne’s with lite hors d’oeuvres, a relaxed café luncheon at the Atrium Café & Ice Cream Parlor, a guided tour of Port Huron Museum’s Carnegie Center, and over at the DoubleTree by Hilton Hotel, Port Huron is where our GLCC & GLF Annual Business Meetings are to be held. Please click here to read more. Those who missed the outstanding August 18-20 GLCC Lake Superior Rally in Silver Bay, MN, are invited to visit the GLCC Facebook page (https://www.facebook.com/glcclub) where you'll find several posts highlighting activities and photos from the event. 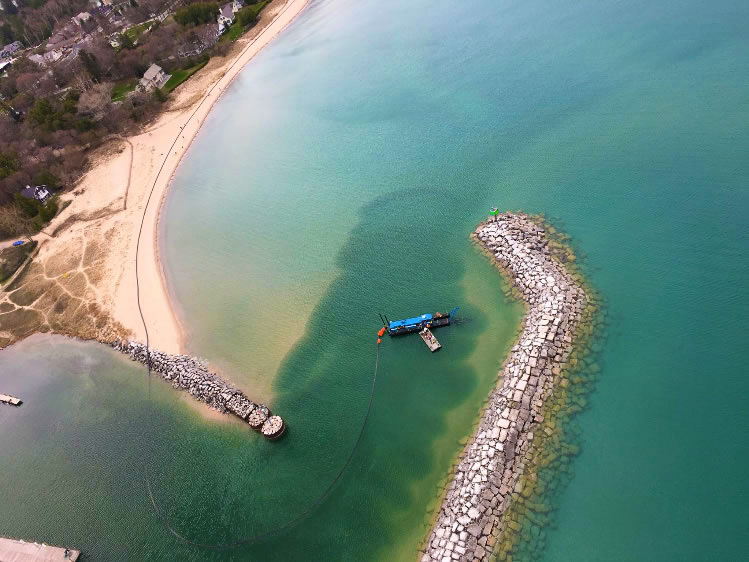 The combined work of the Township of Leland, Mich., the Township Harbor Commission, and a fundraising campaign titled Dig Deep for Leland Harbor (M-14), brought out the generosity of the public that enabled the harbor to be open this summer, and for many summers to come. 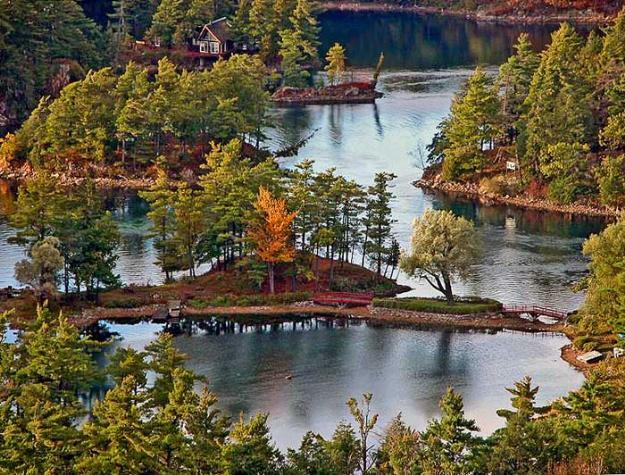 Notable among the public donors was the Great Lakes Foundation, with a grant of $10,000. Please click here to read more.